Technical Forums » Open Discussion Archives » Hand Throttle? 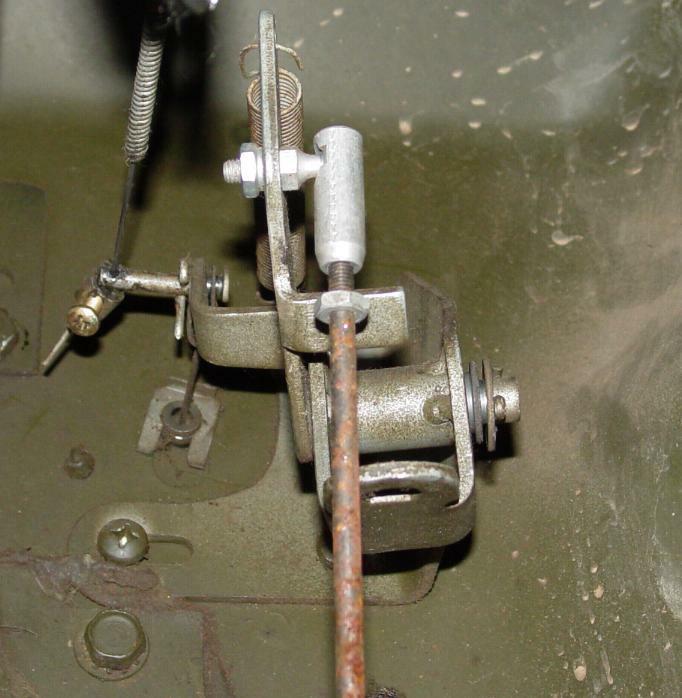 Had a locking hand throttle on the M38. The 7 has to have this mod as well. Anybody done this? Its great for trail rides and warm up on cold days. It was the t handle that clicked to lock and turn to release.No sudden jerks to spill bev. of choice! Some 715's have the option. The t-handle connects to the accel pedal with a piece of chain. If you live near a deuce bone yard you could probably mod one of them to do the job. Another option, there's a guy I've wheeled around who uses a ten speed gear shifter (yes, from a bicycle) He used the handlebar clamp to mount it on his shifter...looks like it works pretty slick. That's what I did (the bicycle shifter route). It works great and I actually use it more than I ever thought I would. why didn't that work... lets try again. DP had an aircraft style hand throttle at the National FE a few months ago. He said he got it from NAPA. I really liked it. I'll be using a brake lever off a mountain bike. Did the same on my CJ. Final connection to the carburetor linkage was done using a few inches of pull-chain (such that you'd have on your attic light) so I could hit the floor pedal to goose it and the chain would go limp. Still had to remember to pull the lever to get it to slow down though! It was just used for those slow, bouncy crawls over roots, rocks, etc., where it was hard to hold your foot still on the gas pedal. Total cost was something just over a dollar for a new cable. The rest was all junk-yard stuff. Looop, Pin and washer kept mine in place.. This is the one I want.Interesting post guys! I understand the shifter mount but I'll be in 1st gear all day! I bought a locking one at napa a few years ago that I used for the shift cable on my quadratrac t-case. I used it instead of vacum power. It was not to much from what I can remember. Sorry...with a bunch of stuff after work yesterday, I forgot to snap a pic...will do tonight!! 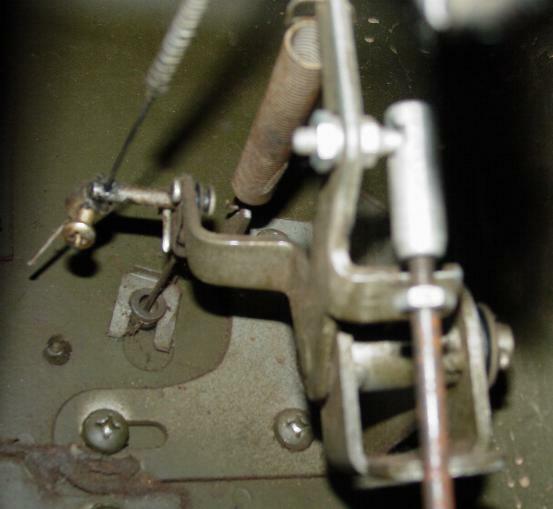 The pin goes through the linkage arm and has a cotter pin to keep it from backing out...then the cable goes through the hole down the other end of the pin...the screw goes into a block that the cable passes through and is used to adjust the tension. You ca see the mounting pin at the back and also the U shaped piece that goes on the pin and around the arm to mount the throttle cable to the carb. works for me! Thanks brutis!